Perfect striped top for spring and summer. 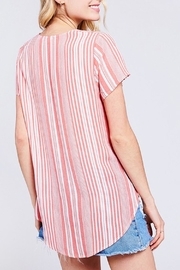 Lightweight, flowy, white top with bright coral stripes, wooden button closures and front self tie. 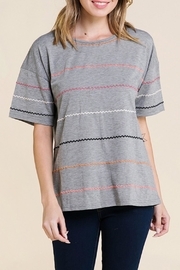 Hi-lo hem. 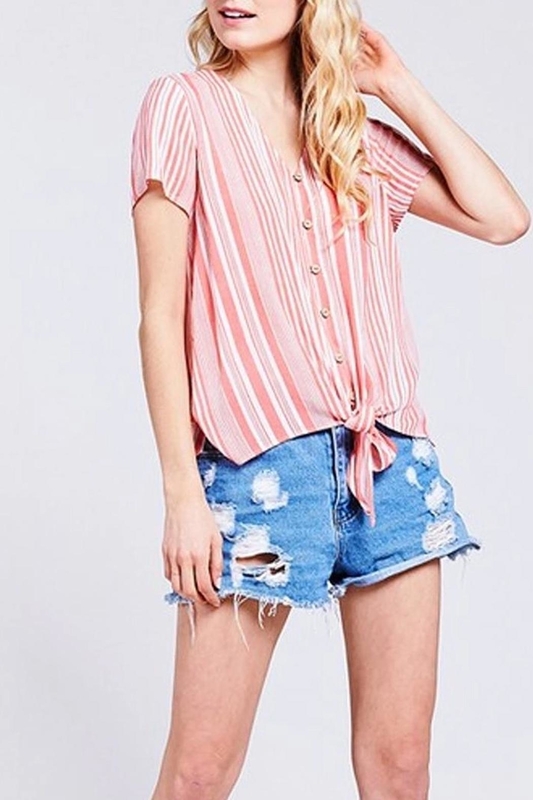 Model is 5'9" and wearing a size small.